Michael A. Gottlieb, P.A. is known for his broad knowledge of criminal case law and the court framework. He and his partners have had triumphs in the white collar criminal defense arena which is far-reaching and incorporates getting absolution, diminished charges, and releases. At Michael A. Gottlieb, P.A. Broward Criminal Lawyer, we help secure the defense for people and organizations confronting direct jury examination. We’ll represent you for all charges during the pre-trial and trial, protecting you against injustice and mistreatment. Assistance for financial crimes and fraudulent activities. Put forth a false impression of a material actuality, with the end goal of changing how someone else acts. Are intent on deceiving the alleged victim? Our lawyers are prepared to defend you and your activities in a court. We work with you to plan a protective strategy that is unique to your case. Proven results from a firm you can trust. When you’re confronting criminal charges or confronting fraud, you require an attorney who has the aptitude and longing to shield you aggressively in a courtroom. At Michael A. Gottlieb, P.A., our lawyers have over 50 years of joined experience working with customers confronting any level of charges. 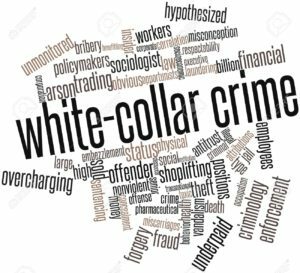 We are prepared to represent each white collar criminal case with the experience and resources necessary to pursue justice in the federal court. Computer crime is a rising power. We keep up with the latest innovations to ensure you in the event that you’re accused of a wrongdoing over the internet, we can help defend your rights. Computer crimes incorporate fake exercises, getting and seeing illicit pictures, and crimes with minors over the web. Punishment for a computer crime can be extreme. In case you’re under scrutiny for any crime including the web, it is imperative that you contact us before reacting to any solicitations by the government to speak with you. At Michael A. Gottlieb, P.A., we have the knowledge and tools necessary to help you win your case. When you’re confronting critical accusations, you deserve genuine assistance. The law office of Michael A. Gottlieb, P.A. has earned its notoriety for pursuing justice for those who need help in federal court. Try not to abandon your case or attempt to fight the battle alone! We are here to help you fight your charges. Call our office today to schedule a completely no-risk, free case evaluation. 954-462-1005.